Who&apos;s ready for a Raleigh road trip? Summer may be hitting its final stretch but festival season is just getting ready to peak this Sept. in the City of Oaks! In a destination known for sprawling, rocking, community-wide festivals, the month of Sept. is the crown jewel. Raleigh&apos;s M.A.I.N. Events (Music, Arts, Innovation and Noise) is a celebration of all the amazing events happening in late summer and early fall in Raleigh. Music, beer, arts, bikes, culture—the very best of our capital city is on display all month long. 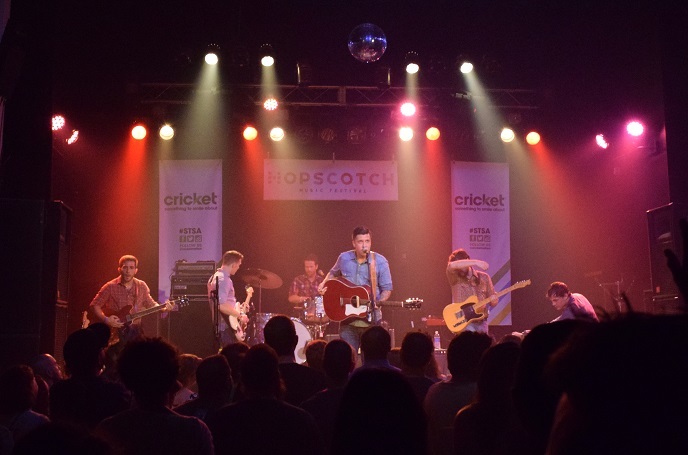 Consider Hopscotch Music Festival (9/8-10). What does 120 bands, three days, 12 venues and one awesome, walkable downtown setting get you? "One of the best and most eclectic music festivals in America," if you ask SPIN. "A Mardi Gras-like atmosphere" and a "must-see summer music festival," according to Rolling Stone. The seventh edition of this homegrown music festival, annually one of the standout events on the calendar, promises to deliver big sound and big fun. With headlining acts including Erykah Badu, Beach House, Gary Clark Jr., Wolf Parade and Anderson Paak, you can&apos;t go wrong. But many will tell you that the Hopscotch experience is about more than the bands you already know and love—it&apos;s about discovering new acts, waking up early and hopping from bar to bar for (the free and awesome) day parties plus exploring a super-energized downtown Raleigh. Need a bit more convincing (we doubt it!)? Take a look at our 10 reasons to experience the festival this year. Another suggestion for your road trip playlist: Bluegrass! Follow the banjos to downtown Raleigh this Sept. when International Bluegrass Music Association (IBMA) returns with another year of PNC presents Wide Open Bluegrass (9/30-10/1), the picking, singing and dancing festival that draws well more than 100,000 fans to the area as IBMA closes out a week of World of Bluegrass in Raleigh. In addition to the ticketed main stage events at Red Hat Amphitheater (including performances by The Soggy Bottom Boys, Nitty Gritty Dirt Band, Steep Canyon Rangers and Del McCoury Band...wow! ), a free street festival stretches downtown Raleigh&apos;s Fayetteville St. and includes five more stages of music plus a dancing tent and other activities including an art market and the N.C. Whole Hog Barbecue Championship. You also can&apos;t miss the Bluegrass Ramble (9/27-29) that week, IBMA&apos;s innovative showcase series in club venues in downtown Raleigh with more than 200 performances. And the 27th Annual International Bluegrass Music Awards Show (9/29), the biggest night on the bluegrass calendar, features outstanding performances by the best in bluegrass and once-in-a-lifetime moments. What could be better than music, food trucks, more than 70 breweries and 4,000 of your closest friends to spend a day with outdoors? That&apos;s what you get with Beericana Craft Beer and Music Festival (9/10), the fast-growing, locally-started event in Holly Springs. An admission ticket gets you free parking, unlimited 2-ounce samples from breweries from all across the state and region, access to local favorite food trucks plus music from bands including Young Yonder, The Rusted Rails, and Town Mountain. All in all, we&apos;ve put together a must-read list of nine Sept. music festivals and major events in Raleigh. Check it out to get all the details on other can&apos;t-miss events like SPARKcon (9/15-18), a creativity, art and design festival that takes over the downtown streets plus the African American Cultural Festival of Raleigh and Wake County (9/3-4), the 12th Annual Ray Price Capital City Bikefest (9/23-25) and so much more. Live music, every single day. 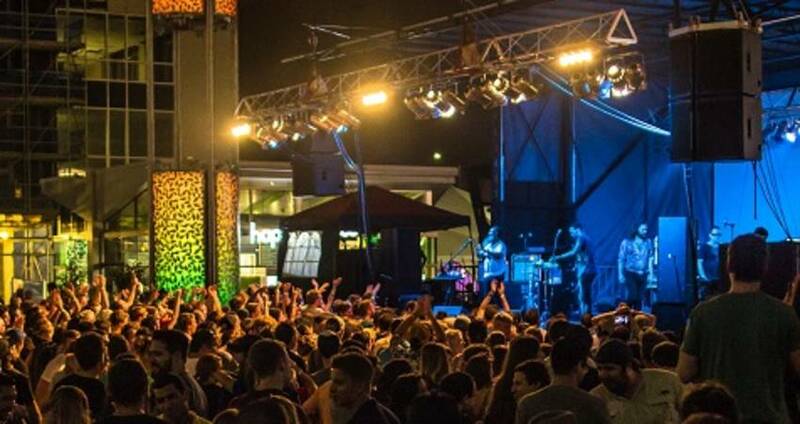 That&apos;s how it works in the destination with the most live music in N.C. We picked out just a few more shows you should know about that aren&apos;t a part of the major festivals already mentioned. A superstar lineup of country music will close out the season at Coastal Credit Union Music Part at Walnut Creek: Luke Bryan (9/2-3), Darius Rucker (9/10), Brad Paisley (9/18) and Jason Aldean (9/30) will draw huge crowds. Also not to miss: Ben Folds (9/13) at the Memorial Auditorium at Duke Energy Center for the Performing Arts, The Lumineers (9/15) at Koka Booth Amphitheatre and Tycho (9/27) at The Ritz. As always, for a full schedule of upcoming music, keep up with themostnc.com! Grab your chairs, coolers, foam fingers and grills because college football season is back! 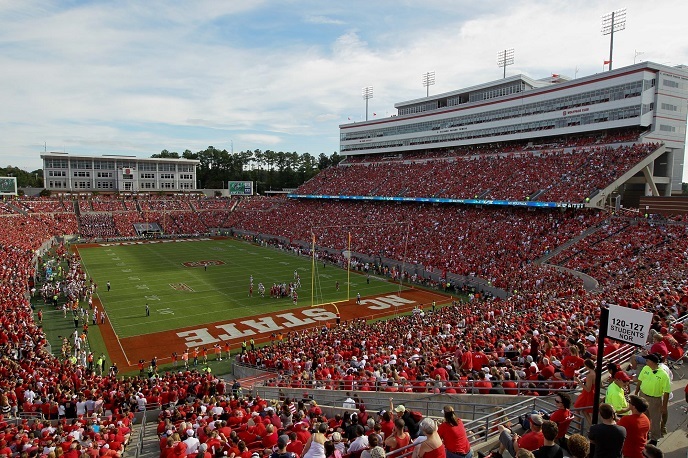 We&apos;ve got the perfect start to the season in Raleigh as the North Carolina State University Wolfpack open the year at Carter-Finley Stadium with an exciting Thurs. night matchup against William & Mary (9/1). We&apos;re sure you already know this but football tends to be taken seriously around here, so just some advice: arrive early, stay late, be loud and wear red! Later in the month the Wolfpack will take on Old Dominion University (9/17). In other sports, your last chances to catch some action on the baseball diamond are here—the Carolina Mudcats close out their season with five matchups against the Wilmington Blue Rocks (8/30-9/1) and the Winston-Salem Dash (9/2-5). Don&apos;t miss the post-game fireworks on Fri. and Sun. nights! Also beginning to wind down is the Carolina RailHawks&apos;s fall season in the North American Soccer League (NASL). But it&apos;s still a busy month on the pitch with four home games on the schedule, bringing Jacksonville Armada FC (9/3), Ottawa Fury FC (9/10), FC Edmonton (9/24) and N.Y. Cosmos (9/28) to WakeMed Soccer Park in Cary. Carolina Ballet kicks off their 2016-2017 season with La Mer (9/15-18 and 9/24-10/2), an iconic work by Claude Debussy that evokes energy and imagery of the sea. Ira David Wood III&apos;s Theatre In The Park is set to put on performances of True West (9/8-11) and Almost, Maine (9/15-18). North Carolina Opera presents the Southeastern U.S. premiere of Wagner&apos;s opera Das Rheingold (9/16-18) in semi-staged performances, generating a buzz in the performing arts scene. Outdoor movie season is coming to a close but you can still catch The Martian (9/2), The Princess Bride (9/3) and The Jungle Book (2016) (9/16) at the North Carolina Museum of Art, plus E.T. : The Extra-Terrestrial (9/15) and Ferris Bueller&apos;s Day Off (9/22) as part of downtown Garner&apos;s Outdoor Movie Series. Experience more than 100 exhibits, crafts, games and activities at BugFest (9/17), the North Carolina Museum of Natural Sciences annual event that lets you interact with entomologists and other scientists while learning about the fascinating world of bugs. This year&apos;s theme: Ants! Count us in for this! BBQ, Blues and Brews (9/24) in historic downtown Fuquay-Varina will showcase local breweries and include a BBQ cook-off, plus blues and bluegrass music. 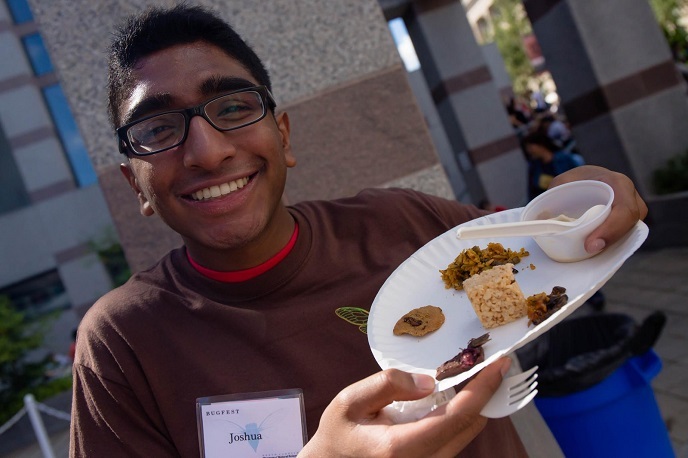 The 35th annual Greek Festival (9/9-11) returns to the North Carolina State Fairgrounds, bringing handmade, authentic Greek food and goodies (baklava sundae, anyone? ), plus traditional music and dancing for an entire weekend of fun. More for the foodies: Already planning a trip to Raleigh and looking for a great meal? We talked to five local foodie bloggers to get the inside scoop on their favorite menu items from their favorite local restaurants. We also put together a list of seven of the best burgers in the area. See a full list of Sept. events in Raleigh, N.C., here.